On April 15 and 17th the Transduction team hosted an exhibit at OpenGrounds featuring a documentary, folio, interactive diagram, geomap, sound project and miracle berry taste experience. A special ad was drafted and transduction t-shirts were designed, procured, and proudly worn. The second day featured a reception by Feast! 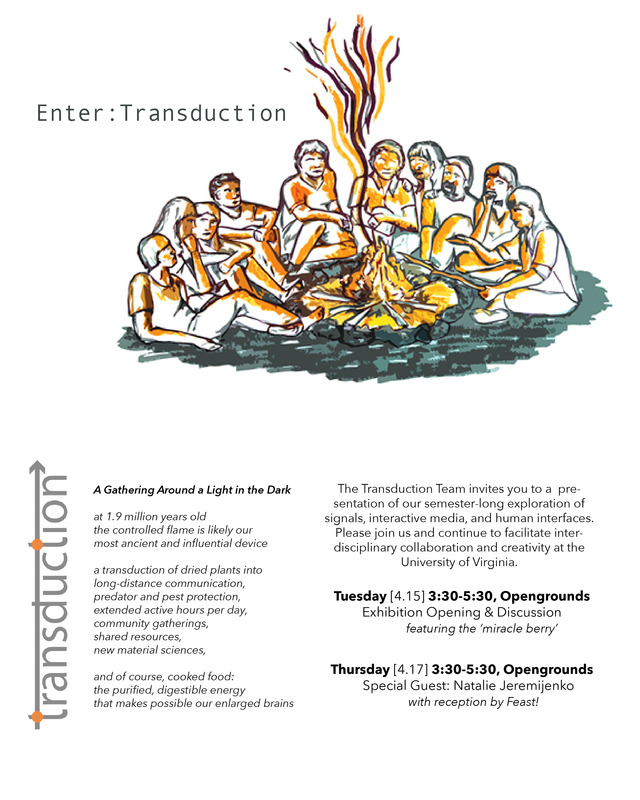 and special guest, Natalie Jeremijenko, the Transduction speaker for Thurs April 17. Learn about these events and features through the links below.